GAF, one of the most trusted brand names in the roofing industry, has been helping North American homes become more beautiful, energy-efficient, and weather-tight for many years. 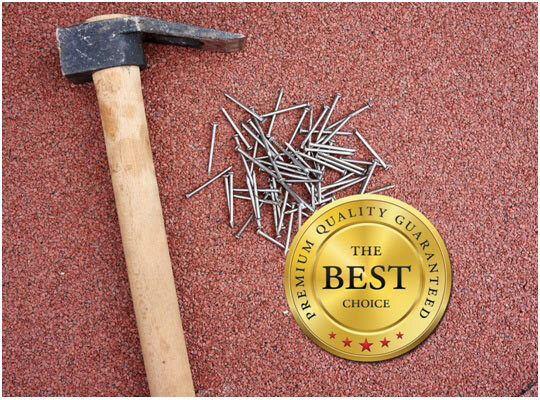 Because of this commitment to providing top-quality roofing products, the company was once again voted “No. 1 in Quality Ratings” and as the “Brand Used the Most” in BUILDER’s Brand Use Study. This is the ninth time in the last 10 years that GAF has come out on top when it comes to producing the highest quality asphalt and fiberglass shingles. Are you planning a roof replacement project any time soon? It’s really easy to see why GAF has been consistently voted no. 1 for their products. What Can You Get From GAF Roofing Products? Tedrick’s Roofing is a reliable roofing contractor in Kent that has earned the distinction of being a GAF Master Elite™ contractor. That means our installation crews have undergone rigorous training to be able to meet the installation and procedure standards set by the country’s top roofing manufacturer. Three-Tab shingles that provide the basic level protection for those on a budget. Timberline® Lifetime shingles that can help make your home more visually appealing and provide better weather protection. Designer Lifetime shingles can provide even better durability, style, and beauty. These top-of-the-line architectural shingles are sure to make your home standout in your neighborhood. Have Tedrick’s Roofing Work on Your Roof! If you’re in need of roof replacement or roof repair in Auburn, trust in the award-winning products and services that only Tedrick’s Roofing can offer. As a GAF Master Elite contractor, we can also provide the best warranties in the industry. Have your roofing inspected by our team today. Learn firsthand how the best-selling products from GAF can help you get the best roof for your home. Give Tedrick’s Roofing a call at (877) 212-9355 today!